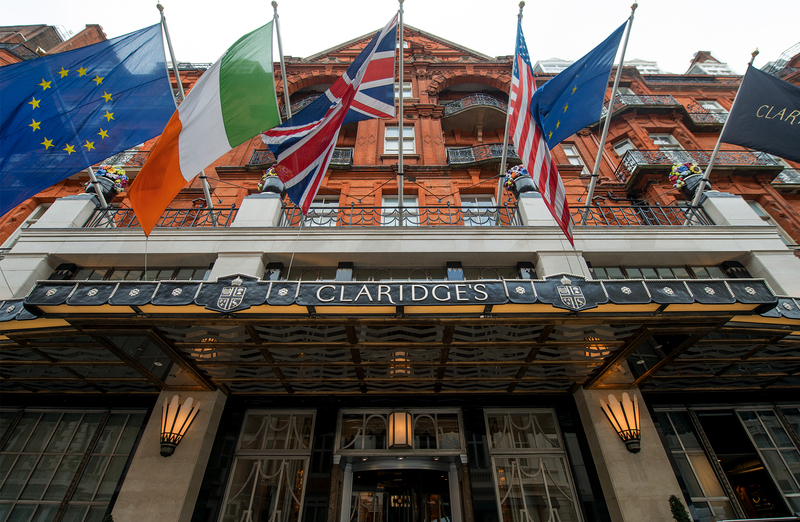 Having started life as a magnificent private house, Claridge’s was re-established as a hotel and then purpose built on its current site in 1898. 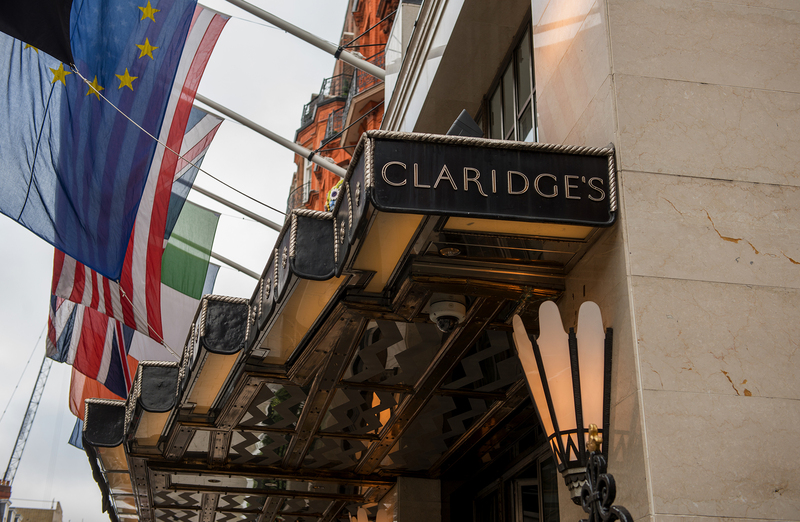 Recognised as the finest art deco hotel in London, Claridge’s quickly became a favourite of European royalty and heads of state. 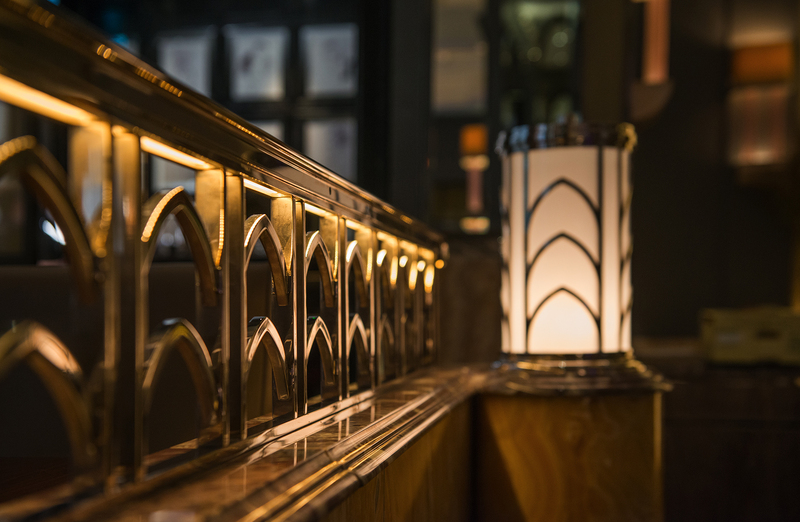 Much of the design and features added through the 1920s and 1930s remains in place today and has been enhanced over the years. 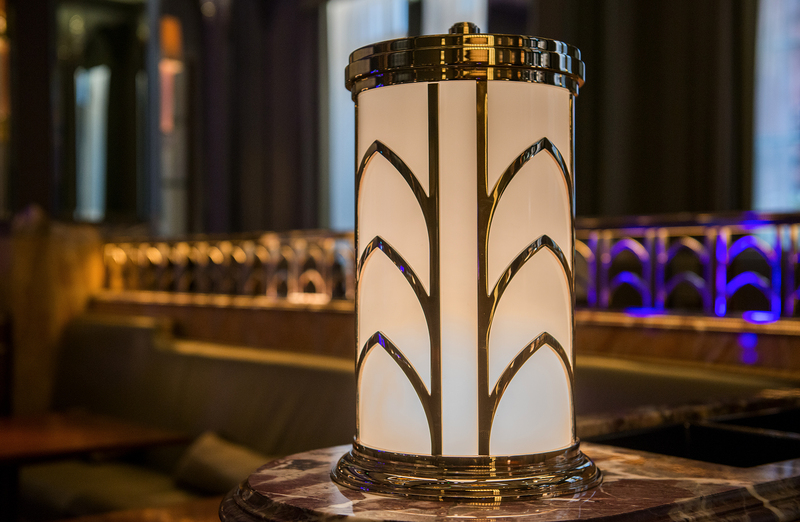 Just before the end of the 20th century, an ongoing project commenced to embark on a major design restoration that would see art deco styling increasingly evidenced throughout the hotel’s public areas and rooms. 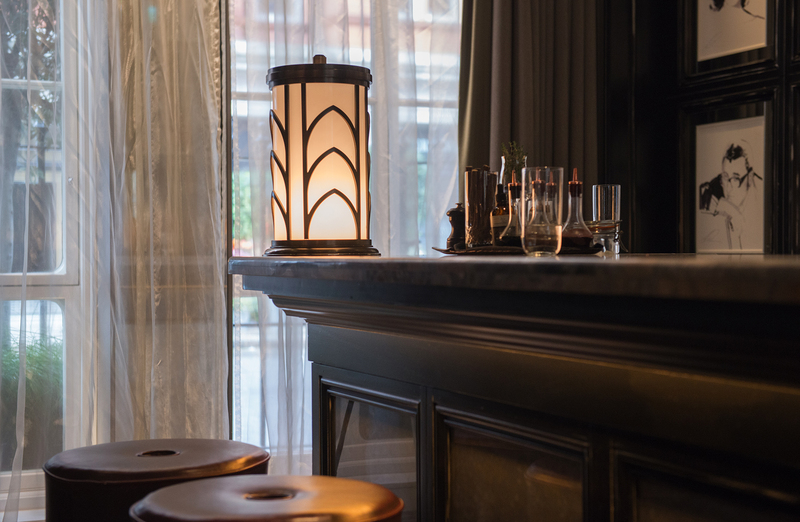 Working with interior designer Guy Oliver (owner and principal of Oliver Laws), Dernier & Hamlyn has been involved in much of the work, incorporating experience and skills we have assimilated over the company’s 126 year history to recreate light fittings that are beautiful, practical and historically accurate. 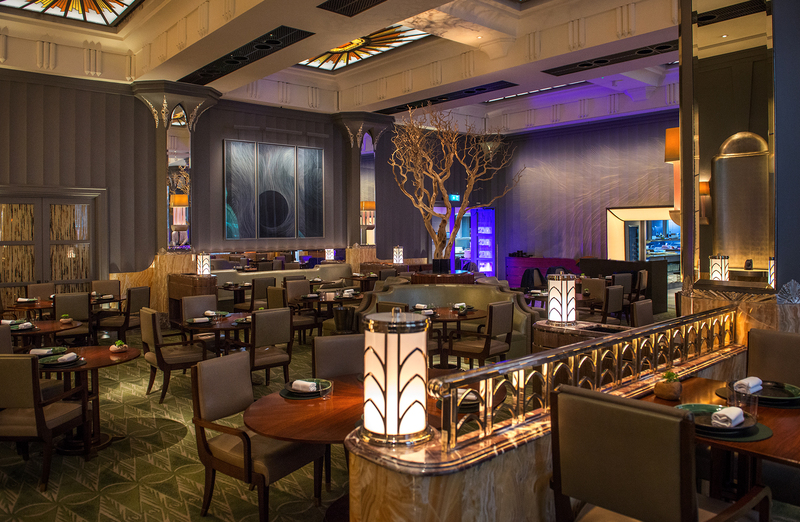 Designer Guy Oliver produced designs to update the hotel’s restaurant and called on our extensive lighting archive to research appropriate styling that would be both visually stunning and complement the architectural integrity of the building. The archive comprises thousands of drawings, photographs, patterns and products collected since the company was formed in London in 1888. A thorough trawl through materials from the 1930s by Dernier & Hamlyn’s Jeremy Quantrill unearthed a gorgeous pendant priced at the princely sum of £44 in 1935. Guy Oliver was thrilled by this unique find and specified that the new pendants which this photograph inspired should be cast in solid brass, hand finished in bronze and completed with white opal glass. 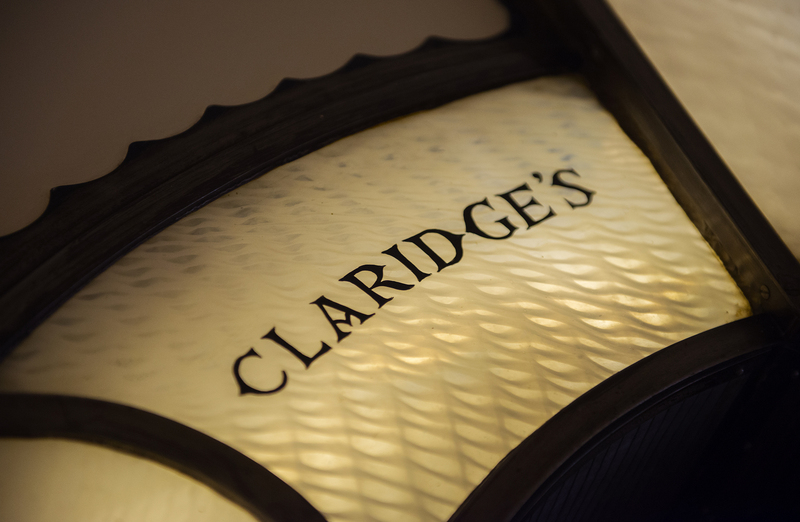 Additional flourishes and geometric layers were added to emphasise the styling of the period and the final flourish was the ceiling fixes which are antique metal chains, reclaimed from a shipyard to give added authenticity. The results are wonderful, with tungsten lamps softly spreading light from inside the fitting, and halogen down lighters providing practical light levels beneath.